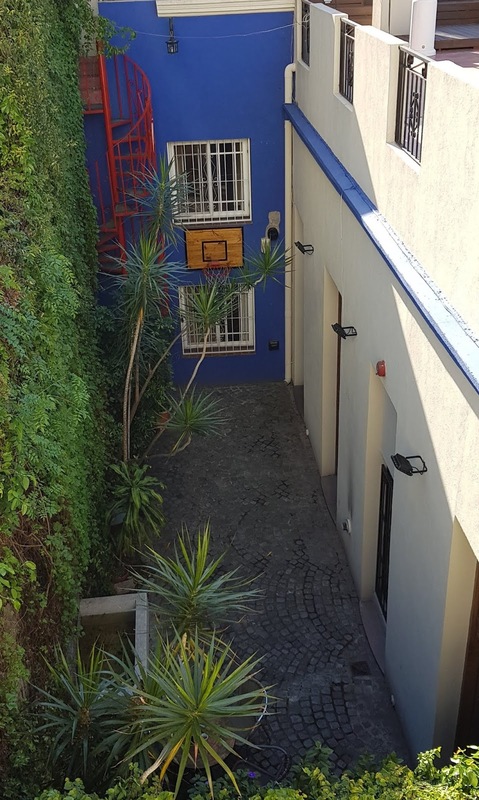 Another playful element was to put a basketball hoop in the patio. A small area to play with the children and to relax, while not having to go out to a playfield in the city or sporthall. But also, we were looking for something that fitted the style of the house with the green plants and wood. The white plastic basketball boards would stand out too much as with a city patio, we did not want to have the board be too intrusive to the patio. 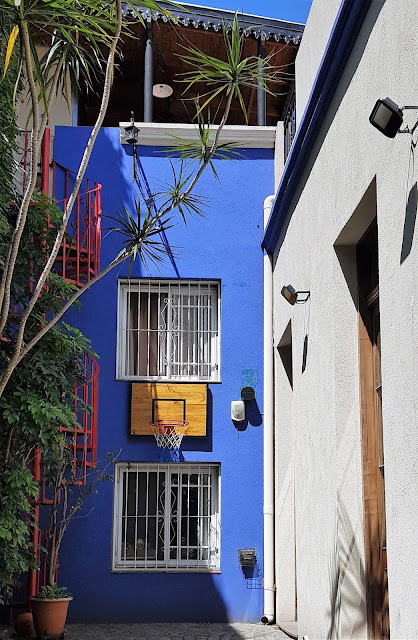 Finally, we found a custom built basketball hoop on Mercadolibre (Latin American ecommerce marketplace) that fitted our requirements that we could attach to the wall and also matched the style of our house. The board is built out of wood and is varnished with several layers to protect against the sun and rain. The borders are taped black so they stand out well against the rustic style of the board and the garden. 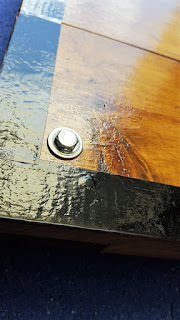 To attach it to the wall we used 14 cm screws with a diameter of 6 mm and rubber door stoppers to ensure the wall would be able to absorb the shocks. 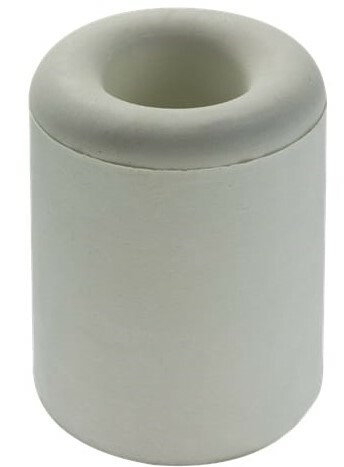 The door stoppers are really necessary, because we did attach it first directly to the wall without any absorber and due to the weight and force of the basketball throws, the wall got a lot of pressure. 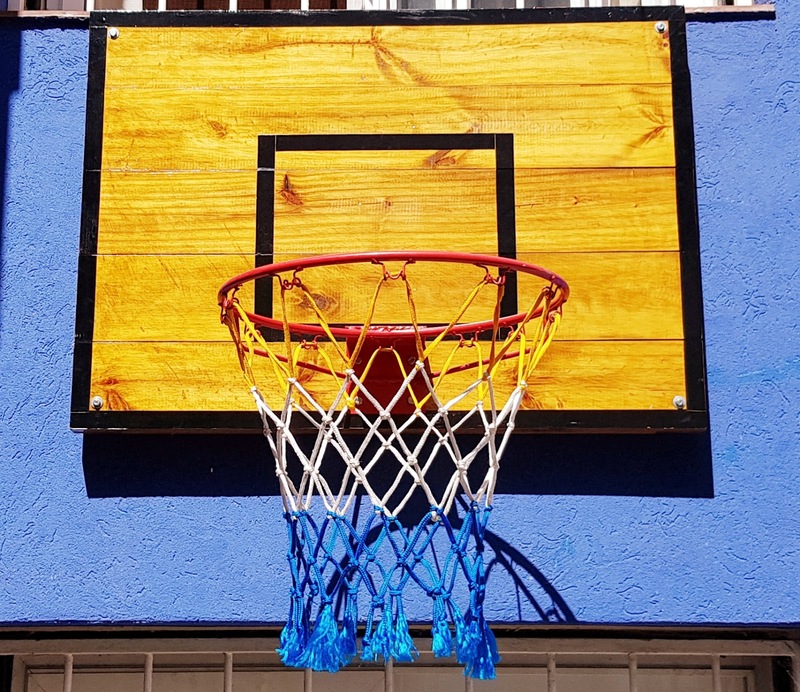 Now it has been installed in the patio, we use it a lot, just to practice a bit or do a quick 2 on 2 with some friends. And if not used, it integrates well with the rest of the garden unnoticeable. You can click on the links in the top menu to see other topics how we converted our outdoor space to our ideal place to be.